obert Bruce Williams is an American portrait painter who, almost single-handedly, brought about a total transformationa revolution, reallyin the profession of portrait painting. I want to tell you his story, because it is an amazing story, and even though I will be recounting events from the very recent past, there are many today who are not aware of this chapter of history. A number of important innovations grew out of the career of Robert Bruce Williams, but I want to focus on one of his innovationsan extraordinarily good ideawhich all by itself turned the profession of portrait painting into an entirely new direction. Robert Williams, who today lives in retirement in rural Maryland, had a meteoric and in many ways unparalleled career in American portrait painting. Dashingly handsome, he was for nearly five decades a whirlwind of activity and energy, traveling constantly and fulfilling an astonishing number of portrait commissions. Unmarried throughout most of his adult life, he had the looks and presence of a film star. Robert and I were associated in the National Portrait Seminars in the 1970's and 80's, where his charisma and enthusiasm were experienced by thousands of artists during his brilliant demonstrations. I first met Robert Williams in the auditorium at the Art Students League of New York in September of 1973. This was the first day of my first announced ten-week lecture/demonstration series on portrait painting. The gallery was packed with a sold-out audience, and there in the front row sat this strikingly handsome, slender young man who introduced himself to me as artist Robert Bruce Williams of Washington, DC. With him was his even younger friend, artist Steven Moppert of Jackson, Mississippi. The two had seen the announcement about the lecture series, and had traveled from Washington to be present. The two young artists thereafter came every Monday night for the next ten weeks, and we became fast friends. 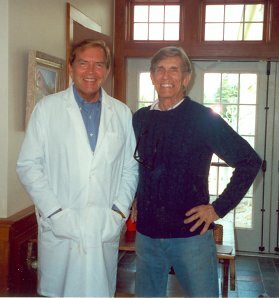 I learned that Robert was based in Washington, and had his studio there (at that time a beautiful stone townhouse on Dupont Circle), but that he traveled incessantly across the United States, painting portrait commissions. I was aware of his name, because at that time Robert was really the only portrait artist in America who did regular full-page space advertising in major magazines. This was one of his innovations, and to this day no other artist has made as extensive use of magazine advertising as Robert did. As we talked over the next few weeks, I learned quickly of another important innovation that Robert had put into place in the course of his career. In several locations, mostly in the southern states, where he had had a significant local success, he thereafter used the services of local salespersons to secure additional commissions for him. These agents were normally young women who had been the subjects of one of his portraits. Well-pleased with their portrait, these young womenall of whom were socially prominent in their communitieswere well-placed to network with their friends and peers to obtain further assignments for Robert. In fact, so successful were these youthful representatives, that Robert was able to return to their communities and find as many as a dozen assignments at one time, awaiting his attention. This arrangement, repeated multiple times across the South and the Midwest, resulted in Robert Williams being perhaps, at that time, the busiest portrait artist in America. These representatives received a percentage of the sale price of each portrait. Thus they were highly motivated to identify multiple customers for their famous artist client. The highly developed skill of the artist assured the success and popularity of the undertaking. Both the representatives and the artist found the arrangement to be very financially rewarding. In fact, the success in several instances was on a scale so dramatic that one artisthowever skilled and energeticwas not capable of meeting all of the demands. The logical next step was for the representative to add additional artists to help fulfill the commissions that were coming in. 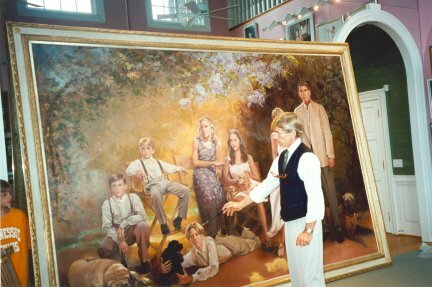 The Birth of "Portraits South"
In Raleigh, North Carolina, one young lady, Suzanne McKinney, found herself with an overwhelming number of portrait commissions. She needed artists, in addition to Robert, to fulfill these expectations. Suzanne came to New York and visited in my studio for advice. I was happy to recommend to her a list of artists. Suzanne also realized that if, working by herself, and with only one artist, she was able to generate this kind of demand for portraiture, she could expand by adding additional representatives as well as artists. It was from this ideaand this enthusiasmthat the first of the important nationwide phenomena of regional (later national) portrait agencies was born. Suzanne called her company Portraits South. But before Portraits South could spring fully grown into existence, however, there was one important detour that had to be taken. Suzanne's original idea had been not to create a new entity, but to bring her exciting idea to the attention of the one important portrait agency in America at that time. That would be Portraits, Incorporated in New York. 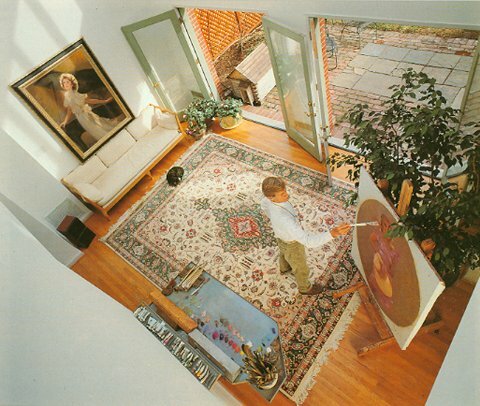 In 1980, Portraits Inc., operating from its conspicuous and prestigious location at the heart of the art capital of the world, essentially had the portrait market in America all to itself. Suzanne McKinney saw her role as providing a way for Portraits, Inc. to greatly increase its market share across the country through a network of representatives (salespersons) which Suzanne would create and supervise on their behalf. It was a sensational idea. Suzanne made an appointment with the leadership at Portraits, Inc. and came to New York to present her idea, and to offer it to the New York gallery. I recall that Suzanne brought her mother with her for moral support, and the two ladies came to my studio on West 58th Street for a bit of reinforcement and prepping before their appointment at the gallery. I was positive that the people at Portraits, Inc. would literally jump at the idea. The first national conference for portrait artists was The National Portrait Seminar, presented by The Portrait Institute in New York City, 1979-1982, Washington DC in 1983, Chicago in 1984, and Atlanta in 1990 and 1993. 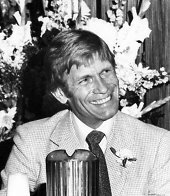 The faculty leaders at all of these meetings were Robert Bruce Williams, Gordon Wetmore, Margaret Holland Sargent, Patricia Hill Burnett and John Howard Sanden. It was at these national conferences that Williams' leadership and example attracted national attention. 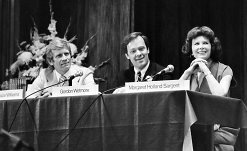 The National Portrait Seminar panel, 1979, from left: Robert Bruce Williams, Gordon Wetmore, and Margaret Holland Sargent. 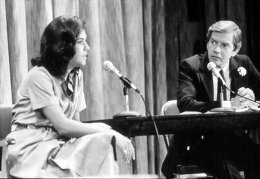 Suzanne McKinney being interviewed by the Seminar chairman, John Howard Sanden. So I was astonished to learn later that day that the idea had been turned down. And not just turned down, but completely rejected. 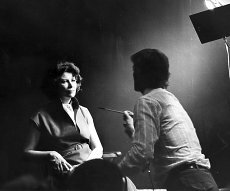 Suzanne McKinney was not deterred however, and returned to Raleigh to immediately organize the entity that became known as Portraits South. This was her concept: a central office, supervising and coordinating a network of thirty to forty representatives, all of whom were socially prominent young matrons. 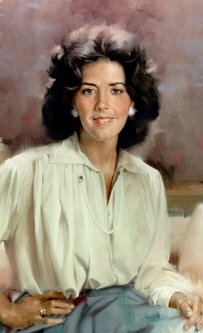 These representatives were able to offer the services of a list of leading American portrait artists who would be willing to travel from their locations to the assignment. This was the idea that revolutionized the profession of portrait painting in America, and it grew directly out of the experience Suzanne had had in representing one artist, Robert Bruce Williams. The success of Suzanne McKinney which resulted in the formation of Portraits South was repeated in Columbia, South Carolina. 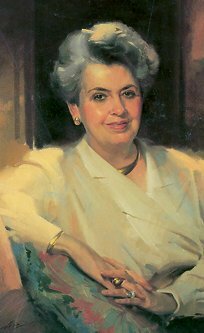 There, Harriet Keenan, wife of a prominent local real estate executive and herself a leading figure in Columbia social and civic circles, began discovering customers for Robert Bruce Williams among her many friends and acquaintances. Soon Columbia became, like Raleigh, a focal point for Robert's portrait work. In time here, just as in Raleigh, the demand for portraits outstripped Robert's capacity to supply. Harriet began representing other portrait artists (myself included). Out of this effortwhen Harriet teamed with Beverly McNeil of Birmingham, Alabamacame the extremely successful firm of Portrait Brokers of America. More than thirty years have passed since these two stories that I have related. Today we find a situation in which the number of independent agencies and portrait brokerages have multiplied across the country, with Portraits South and Portrait Brokers of America still remaining in leadership positions in the profession. Recently, the firm in New York which resisted Suzanne McKinney's revolutionary approachnamely, Portraits, Inc.was actually purchased by Portrait Brokers of America. This, in a way, puts the final stamp of approval on the remarkable marketing concept that grew directly out of the career of one artistRobert Bruce Williams.